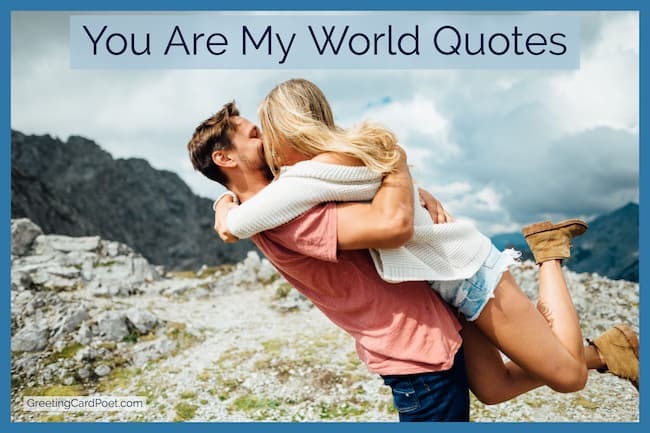 You are my world quotes are the perfect way to express your love to the one you care about most. Being deeply in love with someone can be the most beautiful thing you could ever day. It makes the world more beautiful for both of you. Someone has rightly said that love has magical powers. And true love has the power to make you do great things. But every now and then it is important to tell your partner how much you love them. 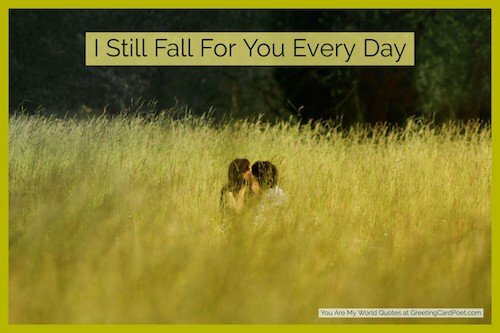 These happy in love quotes can be the perfect way to express your feelings to them. Whether you are looking for love my wife quotes or quotes for your girlfriend, boyfriend or husband, you can find just the perfect words here. Let them know how much they matter to you. A few beautiful words every now and then can have a magical effect on your relationship. You’re the real reason as to why I am still alive up until this moment. You…the source of my joy, the center of my world and the whole of my heart. I’ll love you always. I will always be true to you. I will never do you wrong. You make my life complete. It seems so hard to imagine that I can go on with life without you. Every morning is a reminder that God has let you come into my life and stay my love. My love for you is one of a kind in this world, for no man can ever love the same love twice. Even when I thought nothing can keep me going, my love for you has kept me so strong. If loving you was so wrong my love, then I would rather be wrong than right anymore. For something a little more special for your sweetheart, try these Spanish Love Quotations and Sayings. I am in love – and, my God, it is the greatest thing that can happen to a man. If you have not done so already, you are wasting your life. You said I am a good man, he said. But I am not that good a man. And I am-I am catastrophically in love with you. Check out: Inspiring quotations for those in love. Not all people are lucky to find the sense of their life. I am happy, cause I had found it when I met you – the love of my life. In your eyes, I can see my own soul. You are my strength and my inspiration. You’re why I was put on this earth. My favorite place to visit is always near you. I know I barely know you, but I think you’re so amazing fascinating, breathtaking more than enough, my inspiration. You will always be my love until I die because I think you’re so amazing. Everything’s amazing right now. Why? Because you’re amazing! Sometimes your light shines so bright that it blinds people from seeing how magnificent you are. You are more beautiful than spring flowers, if I were talented, I would write hundreds of poems dedicated to your beauty. You made me believe that this world is worth living in. Your innocent and beautiful soul has forced all the shadows of my doubts to leave and thanks to you I became happy.